Leather Gloves of Lamb Maroon Capucine Lining Silk. > women's collection>Classiques>Leather gloves of lamb maroon "CAPUCINE"
Leather gloves of lamb maroon "CAPUCINE"
Pair of classic leather gloves, short, maroon color, genuine lamb leather. Timeless André POUJADE glove, with elegant and comfortable cut. 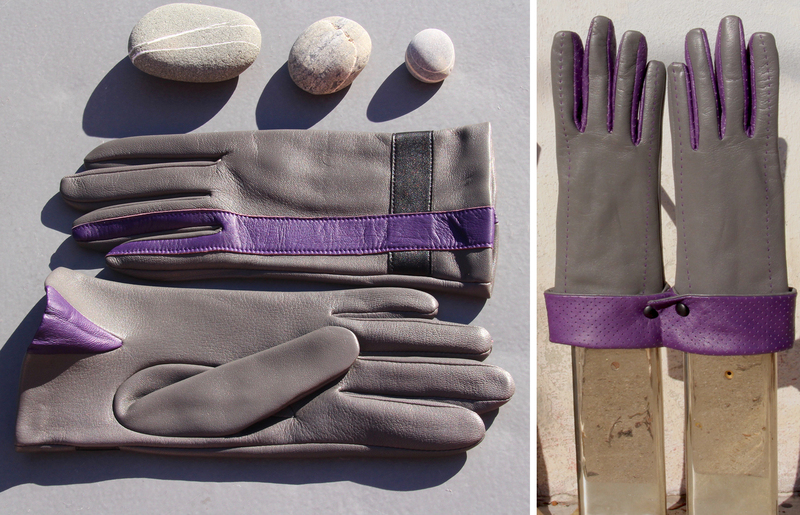 Capucine gloves are machine-sewn, lined with silk, which adds extra warmth. "The timeless" André Poujade gloves are the story of our house. Anne-Laure proud of her family heritage has retained her classics by bringing her personal touch. Indeed the colors proposed are a mixture of our basics always appreciated, with new proposals. La Maison Poujade was created in 1949, by the Master Gantier André Poujade in Millau (Aveyron). He was helped in this adventure by his beautiful father François Calmels. He was joined by Marie-Hélène, daughter of André in 1973, who created a glove shop on Montpellier. For nearly 40 years, Marie-Hélène has managed several generations of Montpellier. In 2000, her daughter Anne laure and her son-in-law Christophe took over the management of Maison Poujade. Christophe Fesquet leads the administrative and commercial part. The creative part is realized by different stylists under the direction of Anne Laure. Since 2012 Anne Laure creates a new collection each year, drawing inspiration from its long line of glover, inspiring its inspirations of the moment. This home has always aim, manufacturing and marketing of high-end city gloves under its name. André Poujade has also created collections for prestigious houses. It is thanks to this know-how handed down from generation to generation and our desire to protect a quality of glove-making tradition that the company of Gant André Poujade was able to go through the serious crises that shook the glove of France for forty years. Our family business perpetuates the will of its creator by selecting top quality peausseries such as lamb, peccari, reversed lamb, deer, and ostrich. Our requirement is equally rigorous on the manufacture of gloves from the cut to the finish. This quality allows Anne-Laure's models to be found in different sales outlets in France (department stores in Paris, Palaces, high-end boutiques in France), as well as in Switzerland, Luxembourg and Belgium. The fans of our brand Gant André Poujade appreciate the combination of the manufacturing tradition and the creative flourishes of our collections. From now on Maison Poujade invites you to discover its collections on its website.